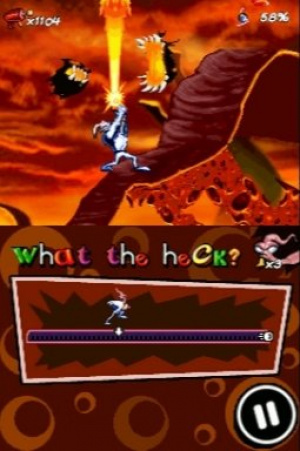 Like previous platforming conversion Rayman, Earthworm Jim is something of a missed opportunity. 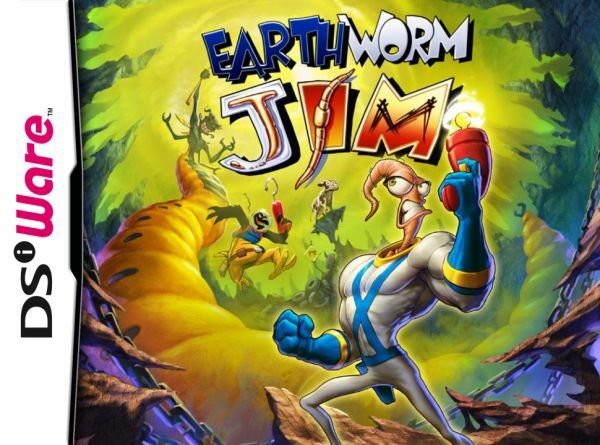 Fondly remembered by many gamers from its original outing on Mega Drive and Super Nintendo, Earthworm Jim was a welcome antidote to the huge numbers of cutesy animal platformers with its bizarre attitude and plenty of character. Sadly, this outing on DSiWare isn't Jim's finest moment. Although labelled a “remake", this is essentially exactly the same game as its 16-bit grandfather, with the same levels (though slightly tweaked), near-identical graphics and Jim's voice all intact. It controls as well as it ever did, with Jim shooting, jumping and whipping his way through the levels, and thankfully there's no attempt to shoehorn in touchscreen controls. 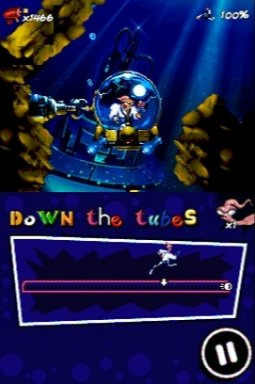 One of the few admissions made to the DSi's capabilities is the addition of camera minigames in the platforming levels. These are extremely simple: a picture of Jim appears and you must copy his facial expression to win a bonus. These minigames, although amusing at first, quickly become fiddly as you have to keep your face within a tight frame, not always easy when attempting to mimic some of the manic expressions. It's an interesting diversion when it works but you're likely to want to skip most of these unless you're particularly dedicated to gurning. As with the aforementioned Rayman, one of the downfalls in this transition is the limited size of the display. Although Jim isn't quite as platform-heavy as his limbless counterpart, there are times when you'll wish the DSi screen were just a little bigger to allow you to see where you're actually going. Whipping across gaps with poor visibility of what's ahead causes frustration, and generally a little more action onscreen would have been a huge help. It's not quite as big a problem as in Rayman, but it will still give you a few frustrating moments. Earthworm Jim has made the step to DSiWare relatively well, with all the immature humour, off-the-wall level design and charm that made it such a hit in its 16-bit days. The smaller screen size causes some problems and the DSi camera feature isn't worth bothering with, but otherwise you're getting a decent, lengthy platforming game that is priced just right at 500 Points. I bought it, and it's an okay game. The messed somethings up the level design is not 100% correct, neither is the collision detection. The biggest problem so far is that jim doesn't always go into 'helicopter' mode when you press the jump button in mid-air. That can be quite frustrating. The fact that you can select levels is a neat thing. I also like the meter at the bottom screen that shows how far you are (this gives you a good progression feel, which helps in going on in harder levels). Biggest problem; they didn't include the 'hard' mode with this game. Instead they have a super easy mode (took me 1 hour to complete the game) and the 'original mode', which is the 'normal' mode. It took me around 1,5 hour to complete the whole game. Yet, it stays an awesome platform game with lots fo cool characters! I though UbiSoft did the port of Rayman since they originally developed it. I was thinking of buying this game because i have some fond memory's with a Earthworm Jim game in the playstation 1 era. Can somebody tell me if this game is a worth the 500 points I'll be spending? I have fond memories of this game as a kid, looking forward to playing this on the 10th! It sounds like this isn't any better than the 7 or 8 year old GBA port other than adding level select. Hopefully, the WiiWare version will give me good reasons to get it again after already getting the VC version. The Wiiware version will be a remake to be released on Wii, PS3 and 360. I'll wait for that one and see if the final product is any good. Wiiware version for me I think as I need a dsiware storage solution! I never once felt a problem with the small screen to be honest. Meh, already have the VC version. 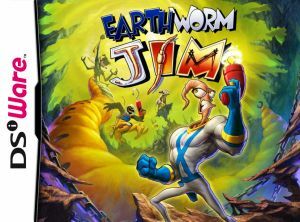 I going to buy this game because Earthworm Jim is awesome! Is this based on the SNES, Genesis, Sega CD, or PC version? @the reviewer: Honesty, I think the map at the bottom of the screen really helps Rayman out with the DSi screen not being wide enough. @ US gamers planning to DL this title: If your the praying type you might want to just to ensure Gameloft doesnt try to up the NP's on this classic. I will do the same as well. I've only downloaded it yesterday, and haven't played so much. there are 2 difficulties: the same one from the original game and a much easier one for the so called "newcomers". I didn't have this game before, and I'm only familiar with Earthworm Jim 2 for the playstation, so I wasn't entirely sure what to expect. In my opinion its a game worth downloading, with a few platform problems(such as unseen edges) and the gimmicky photo minigame, which really works badly. I'll probably pick the HD remake that is coming to XBLA instead of this. I hope its better, then that RayMan Port. I sincerely hope the WiiWare remake has something to set it apart. I have the VC one, so if it consists of just a graphical facelift, I will pass. Is 1000 points worth it if it is the virtual same as the original? Through a lot of trail and error with the 'helicopter mode ' feature in this one, Ive found that it can only be activated after Earthworm Jim has reached the peak of his jump. 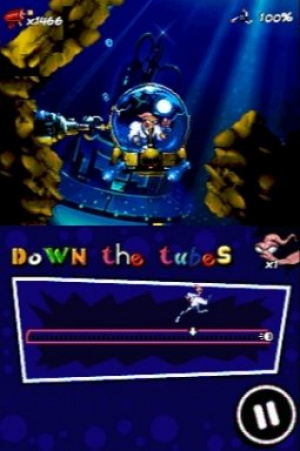 So until Earthworm Jim is falling down he wont be able to glide at all.